Is your artwork finished and ready? This is important because once printed on the blank items it is done. It is best to spend a little time making sure the artwork is finished and ready to print. Look at the factors involved that relate to your Artwork and the Blank Items it will be Printed on. These Blank items are not made of paper, they are made of different fabric content ( cotton, polyester etc. ), and come in different colors, your design should compliment the Blank Item. Created for the specific printing type. Although we do not touch, modify, or recreate clien artwork graphics, our graphics dep. will do necessary production ready minor changes to the clients artwork with their consent. Graphic design is a trade seperate from the printing trade. When clients need their artwork created or recreated, they can hire our graphics department for such work. As with any other trade there are labour and material costs that are invoiced seperatly as Art Charges. More about additional charges and reproducing your designs in our Custom Work Policy Page. 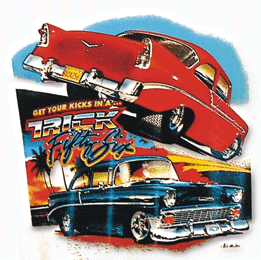 Your 1 colors artwork design custom made as SpotDeco iron-on transfers requires the artwork to be somewhat bold and not detail fine line drawing. The reason for this is because the reproduced iron-on will be cut from Decorative materials such as flex vinyl and not made with plastisol inks for example. 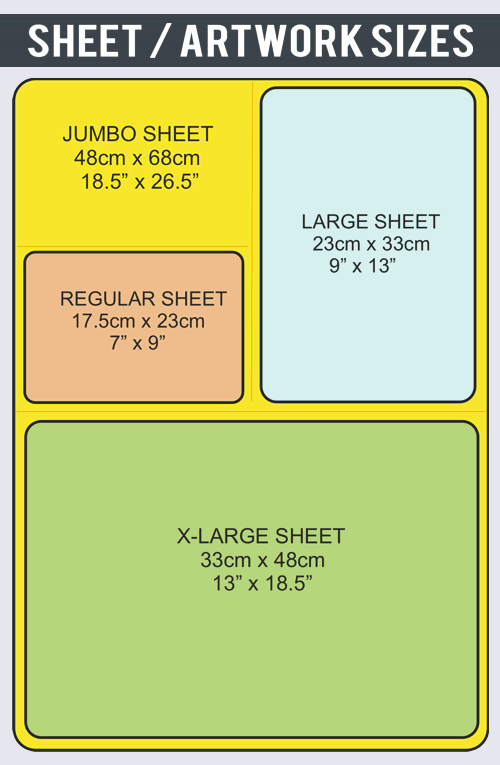 As a general rule lines and space should be at least 40-60 points size, and minimum art size 4x4 inches / 10cm. 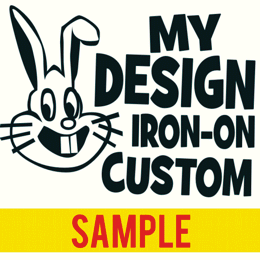 Why artwork in just 1 Color for Flex Iron-on's? 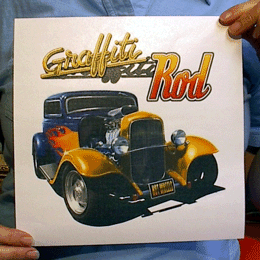 The main reason to require clients to provide the artwork in 1 color for Spotdeco iron-on transfers is becauseit is not cost effective due to labor entensive. 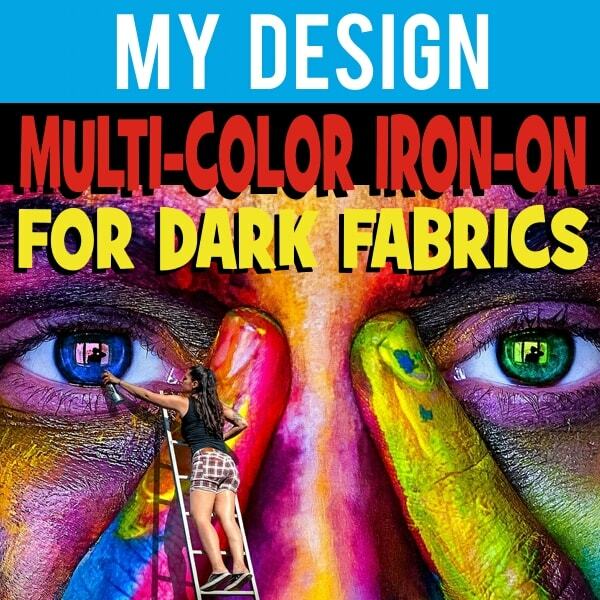 Yes it is possible to make 1, 2, 3, color artwork spotdeco flex iron-ons but it realy requires specialty art design and experience with the application. You can stop over at the Specialty Flex Printing page to learn more about such topic. 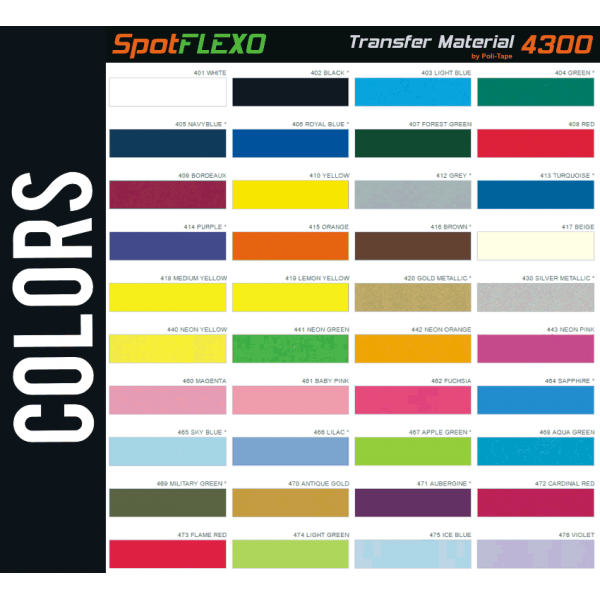 SpotDeco flex transfer materials come in a Large Color Selection, the client choose the artwork color. 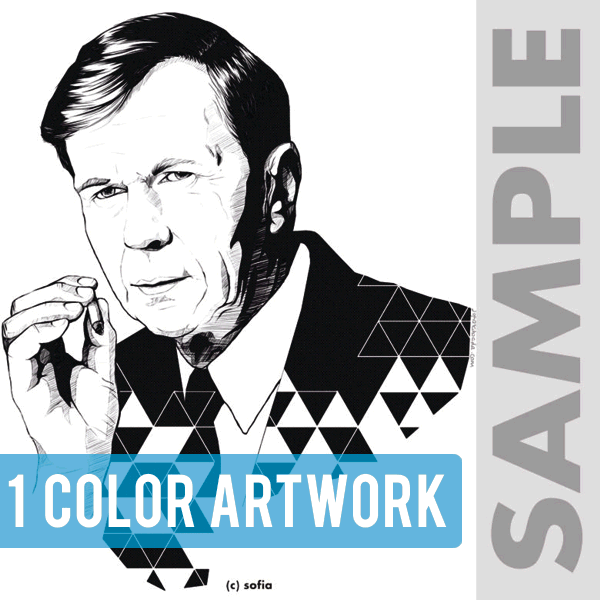 In BLACK Color, with WHITE backgrounds and finished. Artwork Submit file type formats: CDR, EPS. 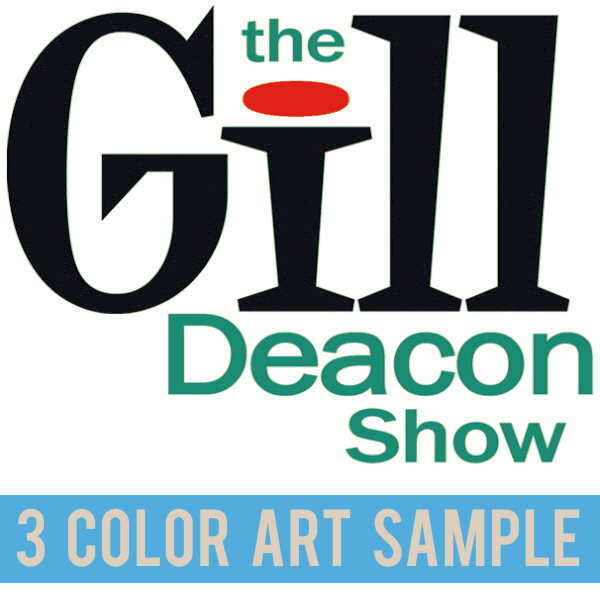 In most cases, the more colors in Your Artwork, the more expensive it gets. If your Artwork Design has Solid Colors like Black, White, Yellow, Gray etc. DTG Screen Printing or Plastisol Heat Transfer Printing Processes are the economical way to Print your Design on quantities of 50 Plus. To print ONE or a FEW it is not cost effective, because there are one time setup charges like Film Output and Screens. 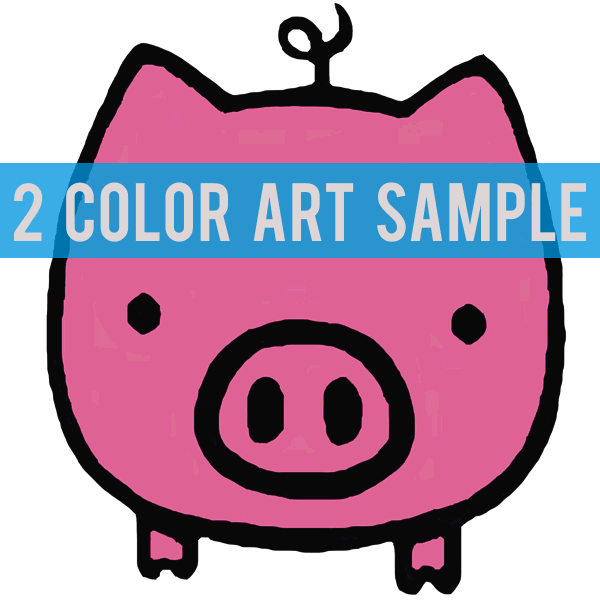 Artwork for spot color screen printing can contain 1, 2, 3, 4, 5+ colors. However each color must be seperate and NOT blen in with any other color. Line and space minimum size is 40 points with standard job runs. Because plastisol ink is often used with screen printing the opquacity of the ink must be considered when preparing the artwork for film and screens. 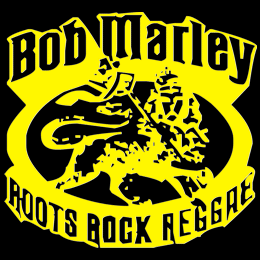 Example: The art has 3 light colors yellow, lime, pink and the graphic iron-on transfer will be printed on black t-shirts. 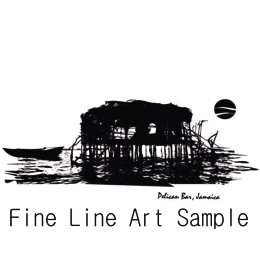 In this case the artwork will beed to ad White color as the hidden background and last pass on the printing press. This extra color white will creat the necessary qpaquency for the 3 light colors to have a briliant look. Otherwise, without the white backing color, the 3 light colors will look dull and dark. That is because the blackcolor of the t-shirt will over power and push through the 3 design colors. SpotDigital Transfers (aka Photo Transfers) are in full color, and the most economical way to go, and no minimums. For Large Quantity (1000 plus) multiple artwork color graphics printing. Spot4CP Heat Transfers (4 Color Process Heat Transfers) is a good choice. These Heat Transfers are like the 70's, 80's Iron On's. Of course there are other options of printing processes but dependent of the fabric type, and more. Keep in mind that designing for Shirts is different from designing post cards, someone will be wearing your design. The Larger the Artwork Design Size the more expensive it gets. 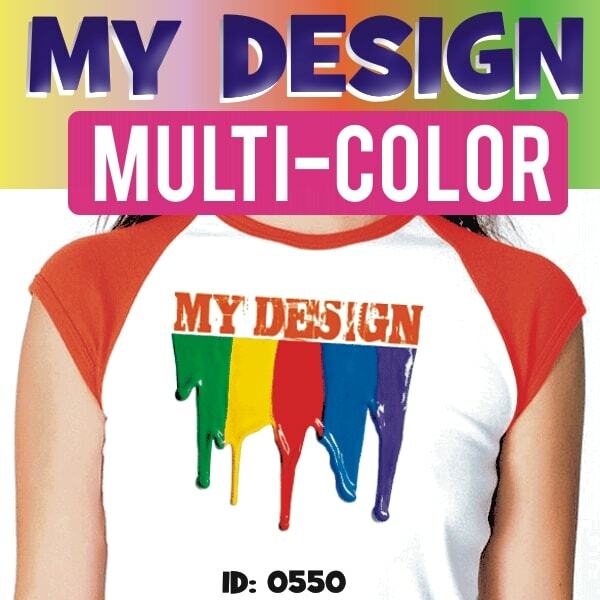 Designs always look small on paper, we recommend you pin your Artwork Design (paper version) to the Blank Item you are planning to print, for example a Girly Fitted Tee and have a girl friend try it on. This way you can see the porpotion of your Artwork Design relating to the Blank Item, the visability and how it looks on someone wearing your Design.